If you have a dog at your place, you would know that they are just like little kids. They need proper care and pampering to grow into a healthy personality. Of course you can keep him happy with the mediocre stuff but you know deep inside that this little dog of yours deserves nothing less than the best. After all this little bundle of joy is your best friend and happens to be the most faithful one around. And to give him the best, there is no better place to get his belongings than from that the premium and the upscale designer dog boutique around called the Posh Puppy Boutique. Well, let us focus our attention on the new kinds of toys that are available for dogs. You will notice after your dog is three months old, he has developed a destructive tendency. He keeps biting on anything that he can lay his teeth upon. Your shoes become one of his main targets. It seems that his main aim in life is to destroy your whole house. Well, this is a common tendency among dogs at this age. The source of this habit is their developing teeth. Their teeth at this age itch so they look for newer toys to bite on. That is why your vet would advise you to get toys for your dog. Of course you would get regular toys for your dog from any pet store. However the best of the dog toys are available at the Posh Puppy Dog Boutique. In fact they have their special line up of organic dog toys. These are made of organic materials and natural dyes, which mean that no matter how much your dog chew on it, there will be nothing hazardous to its health. Moreover it is made in such a way that it is good for your dog’s teeth and helps in the growth of strong and white teeth. So while getting your dog’s toys, make sure that it is from the Posh Puppy Boutique. Custom Halloween Dog Costumes From Central Bark Couture. Halloween is just a few days away and people are preparing to celebrate it in the most awesome way. 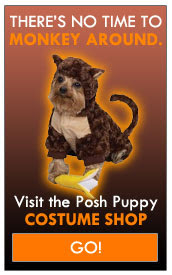 Posh Puppy Boutiques gives dog owners a new reason to cheer on this Halloween. 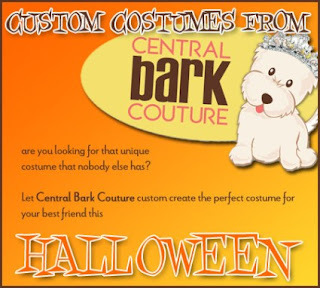 This year, Posh Puppy Boutique is geared up to provide custom dog costumes for costume designed by Central Bark Couture. 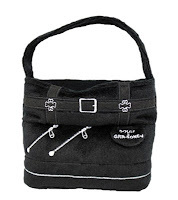 Posh Puppy Boutique has always amazed their customers (dog owners) with the latest offerings in dog fashion world. The upscale online dog boutique also aims to provide special treatment to modern doggies through specially prepared designer costumes, dog fashion accessories and unique dog treats suiting special occasions. This year on Halloween, Posh Puppy Boutique (in association with Central Bark Couture) is offering unique and custom designs of dog costumes that nobody else will have. Central Bark Couture and the costumes design by the brand has always been hot favorite among dog owners. That means, dog owners who love exclusivity in dog fashion will have a special reason to make their doggies look awesome and trendy. TOYS TOYS TOYS! Posh Puppy Boutique has tons of Dog Toys to choose from! It seems that as dog owners we are always wanting to get our dog a new dog toy to play with - you know, we are just suckers for our furry little friends. Posh Puppy Boutique has a large variety of dog toys to choose from, from plush toys to organic toys, you are sure to find one your little chewer will LOVE. 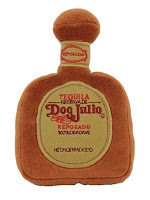 Knock back a few with the Greg Dogs Vodka Plush dog toy or maybe the Dog Julio Tequila Toy. Your girl a fan of champagne? How about the Cristail Champagne Toy or the Barkardi Toy - try one! For the girly girls who like to chew too - the Roberto Pawvalli Bag Toy, Gucchewi Purse Toy or the Dolce Grrbone-a Bag will certainly do the trick! For our "footwear" dogs - do they like the motorcycle boot dog toy or maybe your dog is a bit more delicate like the Barkentino Grrrravino Shoe Toy - whatever your dog's desire to tear up and chew up - we got it! We have Food Inspired Plush Dog Toys too - ones that can make a human kinda hungry. 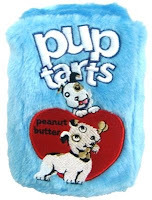 Who doesn't love a Pop Tart - we mean Pup Tart. If you want a dog toy that is just plain fun - Posh Puppy Boutique has a whole line of fun plush dog toys too. We have Halloween dog toys and especially like the new Fleecy Halloween Dog Toy. It's fun to chew so get your dog one of our latest and greatest Plush Dog Toys - straight from Posh Puppy Boutique - the biggest online pet boutique! Posh Puppy Boutique has just been named “Best Alive Chat™ Call To Action Medium-Size Ecommerce Business” award winner, a new monthly award from WebsiteAlive®, a leader in Live Chat technology. (PRWEB) September 10, 2010 -- Posh Puppy Boutique --www.poshpuppyboutique.com -- has just been named “Best Alive Chat Call To Action Medium-Size Ecommerce Business” award winner, a new monthly award from WebsiteAlive, a leader in Live Chat technology, it was announced today. An upscale doggy boutique, Posh Puppy Boutique, caters to give dogs only the best in life. They are family owned and operated and pride themselves on giving only the best as their family would want, not just for pets, but for pet owners as well, and that includes exceptional online customer service. Part of their customer service efforts is Alive Chat, which has played an integral part of their success. WebsiteAlive will recognize a medium-size ecommerce business each month and will feature that business on their website. Alive Chat allows website visitors, email recipients or banner ad viewers to connect to company representatives and have their questions answered instantly by clicking on an Alive Chat button or link embedded on a website, email or ad. Alive Chat is fully hosted on WebsiteAlive’s secure servers, which means there is no equipment to buy and no software to install. If you have an Internet connection and a web browser, you can use Alive Chat. And, with Alive Chat Mobile, which is included at no extra charge in all versions of Alive Chat, you can take your chats on the road with Internet-based mobile phones and chat with your website visitors just as you would from your desktop. Compatible with both PCs and Mac, Alive Chat is 100% customizable. Without any special programming knowledge, you can easily brand your Alive Chat chat windows with your logos and color schemes to match your company’s design, giving your customers a fully integrated experience. “The popularity of Alive Chat speaks for itself as confirmed in the customer comments. Posh Puppy Boutique is a great example that Alive Chat works,” Stass concluded. To add WebsiteAlive’s Alive Chat capability to your website or for more information, contact WebsiteAlive at 888-696-4513, email them at sales(at)websitealive(dot)com or visit them on the web at www.websitealive.com. Since 2004 Alive Chat software from WebsiteAlive has been the leader in cross-platform/cross-browser Live Chat support. Alive Chat software provides instant, real time chat between company support representatives and their customers. Cost effective for every market segment, Alive Chat software works on any computer with a standard web browser and Internet connection as well as Internet-based mobile phones, to reduce shopping cart abandonment, support costs and phone calls as well as increase customer satisfaction and loyalty. Used and trusted by more than 10,000 businesses and companies including Royal Caribbean Cruises, Ltd., Cleveland Cavaliers, Chicago Blackhawks, The San Francisco 49ers, Bridgestone Golf, Gold’s Gym, Keller-Williams Realty and Seattle Coffee Gear to name a few, WebsiteAlive’s industry-leading Alive Chat technology platform provides one of the best online Live Chat solutions available today. No time to MONKEY around! Order your Halloween Costume today! There truly isn't alot of time to Monkey around before the Halloween rush hits for costumes. At Posh Puppy Boutique we pride ourselves in having the latest and best selection of dog costumes and Halloween attire for your dog - but we do sell out fast! Our Vampire Dog Costume - a bit hit for you "Edward Cullen fans or Twilight fans". What about the "Ed Hardy" look? Your dog can be a great Tattoo Dog with the Tattoo Dog Costume. With the latest Shrek movie out - why not "Shrek out" your dog this year with out Shrek Dog Costume? If none of those will make your dog Bark, there are many other Dog Costumes to choose from. At Posh Puppy Boutique, there is over 250 Halloween dog outfits and dog costumes to pick from - from the spookiest to the sweetest - Posh Puppy Boutique has it going on. BIGGEST PHOTO CONTEST OF THE YEAR! How about a chance to win a 50.00 gift card from Posh Puppy Boutique? Sounds good huh? It is easy to do! Take a picture of your little Spookster and send to Posh Puppy Boutique for a chance to win a 50.00 gift card to the best online pet boutique ever! 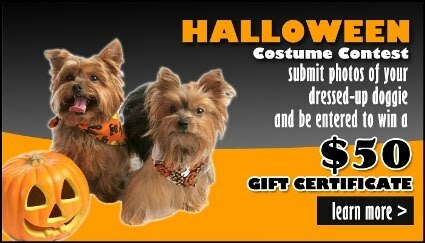 For more information on our Halloween Dog Costume Contest visit Posh Puppy Boutique. Be one of the many contest winners and we will post your dog and a bit about him or her. It's fun and it's free! For a complete list of contest winners you can check out the Photo Contest page. You may also sign up for a give-a-way at Posh Puppy Boutique. Win a chance to receive a $50.00 Gift Certificate when you sign up for the Posh Puppy Boutique Newsletter. Posh Puppy Boutique loves dogs, Halloween and loves making your pups the best looking dogs they can be. Shop now and avoid the rush for Halloween! 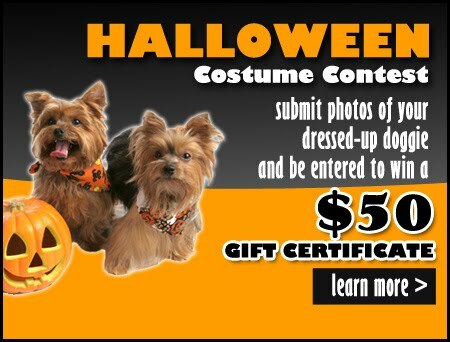 Submit Photo of your dressed-up doggie and be entered to win a Gift. Summer is on it's way out and the cool crisp Fall weather will be upon us, with that.. comes FOOTBALL! Posh Puppy Boutique wants to dress your dog up in the latest dog sports apparel and want you to do just that! Don't let your pup out when it comes to the football parties and allowing your dog to be a spirit wearer! If you are a NFL fan - we have NFL Dog Apparel sure to please any pup! Are you a New York Giants Fan? Want a New York Giants Dog Collar for your dog to wear watching the game? Are you at NY Jets Fan or possibly a Dallas Cowboy's fan? 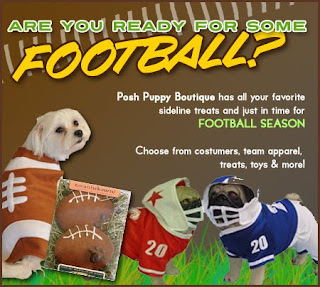 Whatever your favorite NFL Team, Posh Puppy Boutique has the best sports dog apparel around! Want to root for your Alma Mater? If you went to University of Georgia, gotta have the UGA DAWG Dog Clothes to match your enthusiasm. Are you a crazy Florida Gators fan? Try the Florida Gator dog T-shirt or the Florida Gators dog cheer outfit for the litt le cheerleader in your life. Posh Puppy Boutique has many football dog items that will make any pup happy at the tailgating parties! 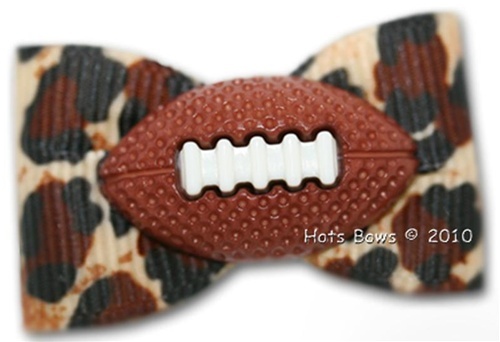 The fantasy football dog hair bow or the Football Dog Tie is a sure crowd pleaser! Since Halloween is a month away, hit the field with the Football Player Dog Costume, you can use this all year long!! Add some bling to your dog with the University of Texas Orange Bling Dog T-shirt, you won't see another dog with this shirt one, we promise! Whether it is Monday night football or Saturday college games or Sunday NFL games, Posh Puppy Boutique has the best dog apparel for sporting events and teams around. 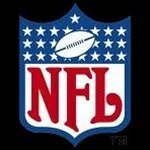 See why we are the top dog boutique around - take a look and order soon and get ready for some FOOTBALL! Most people long for the company of a sweet little dog. Yet what deters them from getting such a puppy is the amount of immense hard work that goes into the task of owning a dog. Such a task is no less than that of mothering. The trips to the vet become one of the most regular affairs of the day. You can not give your dog regular food which is consumed by you, meaning that you need to go to the special pet food stores to get food for the pet. And whoever has ever had a pet would swear on how many new shoes they had to throw away all thanks to the itching of growing teeth of the little canine guy. And to stop the dog from doing so, you would have to get it special chew toys preferably of the organic variety. Of course you need other stuff for the dog like collars and leashes. And if you travel a lot with your dog you would know how important a dog carrier is. So where can you get all these things for your pup? Few days back, you would have to run around to different spots to get these things, all of which or at least most of which would have been available at different places. But, now you have nothing to deter you from getting a dog. You can get all of these at one stop – a dog boutique. All that sounds all nice and fancy, you wonder, but where do you get one? The answer lies at the corner of your room. Yes one of the best dog boutiques is the one available online, the Posh Puppy Boutique. You get the entire puppy requirement from food, to toys, carriers and even pans for the purpose of their nature’s call. And if you think that a dog boutique takes care of only your regular needs then hold your horses. If you are the type of person who would love to dress your dog up, then this is not just an ordinary dog boutique. 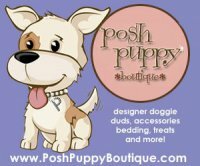 Puppy Posh Boutique is a designer dog boutique which caters to dressing your dog up for special occasions. Moreover they have tied themselves up with different luxury dog clothing brands which mean that your dog gets dressed up the designer way. 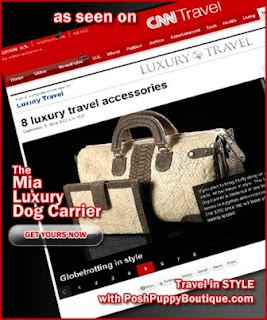 Thus you can see articles ranging from the daily everyday common dog requirements to the accessories used by them on special occasions are all available here. Posh Puppy Boutique recently unveiled their completely new and attractive collection of eco-friendly dog sweaters. Dog sweaters are necessary for doggies in order to keep them warm in low temperature condition. Therefore, in order to protect their canine friends from cold, dog owners wants to purchase warm and attractive sweaters. Posh Puppy Boutique (a prominent online dog boutique) recently unveiled a completely new and attractive collection of sweaters. The collection includes several designs and colors to choose from. These sweaters are made of 100% wool which will keep doggies warm and protected from cold and chilly conditions. The most important thing is that all the sweaters in this range are hand knit and eco-friendly in nature. Posh Puppy Boutique has given ample thought to the designs and colors of sweaters in their collection. Dog lovers can find wide variety of designs in different colors. That means there is something for everyone. People can easily find sweaters in their favorite color in lovely design for their doggies. The latest collection of dog sweaters presented by Posh Puppy is enough to amaze any dog lover with the variety and quality. Our pets are like an extended family for us. We love them as much as our relatives and friends. They undoubtedly bring enormous joy to our lives. And this love of ours makes us pamper them as much as possible. Nowadays you get pet store everywhere very easily. You can even find them online because the whole world has literally gone online. Online pet stores can even cater to all customers worldwide. Pet stores are way much better than departmental stores which just have a section of pet items. Pet stores will provide you with all varieties of each item possible or that you may require. Some things are really essential for dogs for instance dog harness. 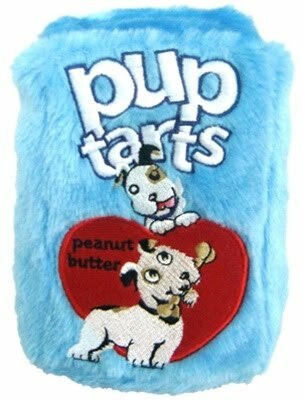 They are available in a lot of variety just like all forms of dog clothing. You can get them in preppie, rocker, classic, biker, princess and surfer, athletic, camouflage, floral, patriotic, modern, vintage forms and designs. Make sure that the dog harness you select is liked by you and your dog and most importantly fits your dog really well. A good fit will enable the dog to wear it with comfort and ease. And it is better to get some dog costumes for your dog if you need to attend some party urgently. Having them at home will help you keep you ready in case you want to attend some party and will make your dog look the centre of attraction in the party. Everyone will praise your dressing sense and the dog’s ability to carry it off well. Many dog costumes are available like bumble bee dog costume, princess dog costume, dog pirate costume, devil dog costume, tuxedo costume and the list is just endless. A dog life jacket is must if you want to take your dogs along with you for your picnics or adventurous outings. For instance a particular type of jacket helps the dog to stay afloat in the water while you are swimming. Since activities of these sorts are a part of lives, it is necessary to have one dog life jacket. And since you would like to go with our dog, how do you take them along? The answer to this is dog carriers. The best ones would be leather dog carriers. They provide enough comfort to the dog so that it stays in the carrier. For the summers a must have for your puppy is a dog bandana as it protects it from the heat and excess perspiration. Thus make sure that you provide the best you can for your pets and pamper them as much as possible. Enjoy 25% off* your entire purchase. Don't forget to check out the great savings at our summer sale rack! Limited supplies left, stock up today at a great price, it might be gone tomorrow! where you can save up to 75%! More than 10 years ago Jennifer Kirk discovered eBay and realized she could make money on eBay by selling her children’s used brand-name clothes. For Kirk it was an easy decision to use eBay – she realized she could make more money selling the clothes online than she could at a garage sale. As is the case with many successful eBay sellers, Kirk started out using eBay as a way to clean out items not being used in the home and earning a little extra spending money. Also , like many part-time eBay sellers, Kirk realized the novelty of listing on eBay to earn a small income tends to wear off eventually. After watching her four daughters play dress-up with the family’s two pet Chihuahuas for hours on end, Kirk said she saw an opportunity for a new online business. With some initial market research and encouragement from her husband and family, she decided to start selling upscale dog clothing and accessories instead. Kirk’s success story echoes the position of many eBay sellers. While eBay produces sales, it also leaves sellers paying too many fees to different sources, for example eBay and PayPal. The online marketplace also imposes a slew of restrictions on vendors using eBay as a selling channel. She also said that running the eBay business on her own was time consuming and she felt that too much time was being spent in trying to get assistance through eBay support when she needed help. In deciding to launch Posh Puppy Boutique, Kirk said that finding the right e-commerce platform and shopping cart was the most difficult task. “I can’t recall how many hours I spent online searching for a cart – or the number of carts I downloaded, tried, and didn’t like,” she said. The biggest issue Kirk stumbled upon while looking for an online shopping cart was that many cart providers, like eBay, wanted a percentage of everysale she made online. To her this meant daily fees racking up when she had wanted to invest more profit in new inventory. In 2007, Kirk switched Posh Puppy Boutique from eBay to Volusion’s e-commerce platform simply because the company offered more support than anyone else. Not having a lot of technical experience and knowledge, Kirk found that with Volusion support she could make the transition from eBay to her own online store in a short amount of time. Kirk says one of the biggest challenges she faced in launching the new online store was doing market research. Another was learning how to run her own e-commerce website. As she researched, however, she realized that some e-commerce platforms were robust enough to guide her in other areas of running an ecommerce website, such as inventory management, search engine optimization (SEO), email marketing, live chat and other functions that are a must-have for any online business today. Kirk said that when she found Volusion’s offering, she watched a couple of tutorials the company offered on its website and realized that this was a solution that would fit her online business needs. A big selling point for Kirk was in realizing she would retain all revenue and not need to pay transaction fees to the vendor. Other challenges Kirk initially faced were finding wholesalers and suppliers for Posh Puppy Boutique.“This isn’t a problem now as we have people submitting requests for us to carry product, but in the beginning it was difficult to get those sources and I was constantly being turned down,” Kirk explained. Currently Posh Puppy Boutique is working with a parent company – a separate entity – to launch an online doggie consignment venture in the very near future. According to Kirk this is an under-served market online and this new site will allow dog owners who love to accessorize the opportunity to sell their old items and take the cash or earn gift certificates for buying new clothing and accessories at Posh Puppy. 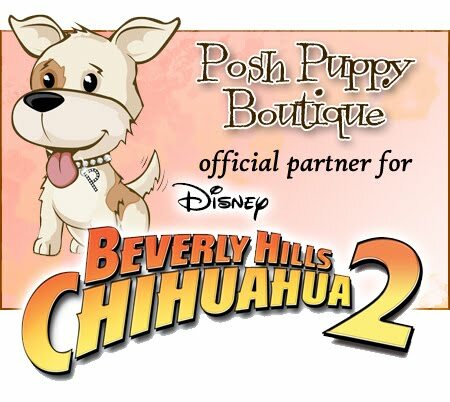 Also, Posh Puppy Boutique was recently enlisted to help outfit characters for a major feature film due in 2011. While Kirk was unable to comment specifically on the film or the movie production company behind it, she did say this was something else that she wouldn’t have believed would ever happen to her when she first started out by selling on eBay as a hobby. It is always a troublesome job for dog lovers to feed their doggies with them. Canine babies often end up spilling their food. To reduce the worries of dog lovers, Bone Appetit designed high seat chair with bowls and steps. They are available at Posh Puppy’s designer dog boutique. 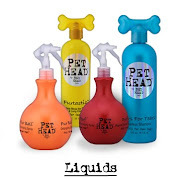 Posh Puppy Boutique has always kept its focus on serving luxury as well as essential needs of doggies and dog owners. By offering high seat chair with bowls and steps from Bone Appetit for modern doggies they are making it easier for dog owners to feed their canine friends with them. By purchasing this useful piece of furniture for their doggies, dog owners can make it a wonderful, charming, and unique experience to their doggies as well as family members. The back of this high seat chair opens like a door. It has little steps up the rear of the chair, so that smaller doggy can sit there himself. Made of solid wood and hand painted design makes it a beautiful accessory. The standard seat is ideal for doggies weighing up to 30 pounds. For larger dogs, custom chairs can be made on orders. For additional details about this seat and its virtual look people can log on to Posh Puppy’s online store at http://www.poshpuppyboutique.com/Bone_Appetit_Seat_p/bon-9000.htm or email Posh Puppy Boutique at sales@poshpuppyboutique.com.